When a door lock is being used often, it will slowly gain some wear and tear. After so many uses, you will probably need to have a professional locksmith to fix a door lock. Fix a door lock is something to be expected; in fact, they are even graded by professionals before being sold. There is no need to be concern deeply over the matter, the locking mechanism should last a decent amount of time . After all, It is graded exactly to ensure that each type of property can possess a locking mechanism that is appropriate to the standards it necessitates for security and quality purposes. 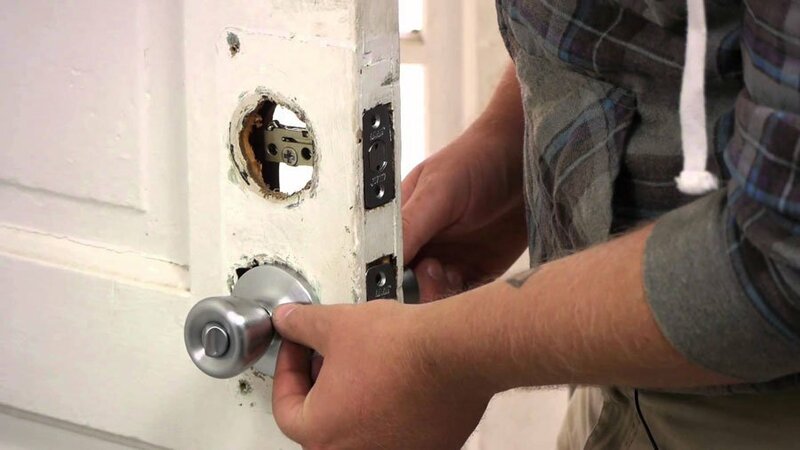 But once a lock starts to act oddly, as in sticking where it shouldn’t stick or not turning the keyway at all, then it is time to have a Spokane locksmith fix a door lock that is in need of repair. At times, to fix a door lock, it just not possible and a lock must be changed. Usually, there are a few things that can be done in order to fix a door lock. Things such as misalignment, general wearing down of the parts and extreme temperatures can cause lock mechanisms to not work correctly. The lock on your door will probably not be in working condition if a key or a piece of something else is stuck in the keyway, where all of the pins are located. A locking mechanism seems so small, it wouldn’t cross your mind that there are many small components inside of it. All these pieces such as springs, pins and other small pieces are exposed to constant use over time. It isn’t hard to imagine them attaining the point where a piece does not correlate correctly with all of the other pieces enough to allow the locking mechanism to function properly. To fix a door lock, you will need a professional residential locksmith in Spokane at the location that the lock is already installed. Locks do a lot for the security of a residential property. If you have a broken lock or the lock doesn’t function properly because a key is stuck inside of the keyway, it can be worrisome to go about your day knowing your home is not secure. Call a Spokane locksmith for a lock repair to remedy the situation so you don’t have to worry about it.